After the death of Nintendo President Satoru Iwata, the seat of the leader is currently vacant. There are many contenders, but the spotlight is on the legendary video game creator Shigeru Miyamoto, who has created Mario, Donkey Kong, and Zelda. Nintendo said in a statement, that currently the company has not made any plans to nominate anybody to fill in the post. Satoru Iwata died on 11 July of bile duct cancer. He was serving as the President of Nintendo till the time of his death. The company did not name any interim president but said that Miyamoto and another CEO Genyo Takeda would continue to perform their roles as representative directors. In a statement issued by the company, Miyamoto, 62, said, "I am surprised at this sudden news and overcome with sadness." He further added that he would continue working with game developers and will strive to create the kind of future success which Iwata would have always wanted. The change in leadership for Nintendo comes at a significant time, when the company is expanding beyond conventional gaming consoles. Nintendo has been facing challenges from mobile and tablet games, and had finally agreed to venture in to this category, to keep up with the changing trends. Taking a major step, Nintendo, in March agreed to commence developing games for smartphones, the fastest growing segment of the videogame market. Shigeru Miyamoto is a Japanese videogame designer and producer best known for creating some of the best-selling games of the world. 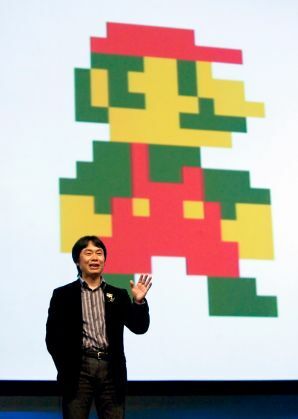 Miyamoto joined Nintendo in the year 1977, at a time when the company was beginning to venture into videogames. Miyamoto is the creator of the best-selling videogame franchise of all time, and the most critically acclaimed videogame - Mario. Apart from this, he also created Donkey Kong, The Legend of Zelda, Star Fox, Pikmin, and the Wii Series.